In a previous post, I listed what I think are the best resources for biblical study. The list includes the tools I regularly use and that I want my students to have when doing Bible study work using the original languages. 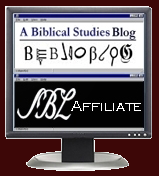 The next step, then, is to see how the three major software packages -Accordance, BibleWorks7, Logos3- provide the essential resources I have identified. So, I put together a spreadsheet and tried to lay out the resources included in each. Why am I doing this? For one, it simply will help my students and others make a better buying decision. I am also all in favor of encouraging these companies to keep on improving their products with resources that are the most useful. Perhaps it may also help them put together a specialized package with my kind of students in mind. Before I send you to that spreadsheet, here are some important qualifications to keep in mind. You will need to check my original list to make sense of some of the abbreviations. As with that list, I have presented some resources in green to indicate that they are important but usually expensive resources. availability of free resources, etc. Also note that Accordance is a native Mac program that can run under PC emulation; BibleWorks7 and Logos are native Windows programs that can run under Mac emulation. (Logos is working on a native Mac version.) There will be some performance limitations when running any program under emulation. Let me repeat: I am NOT arguing that a person should make a buying decision simply on the basis of this list of resources I think are significant, because I am not evaluating the many other important elements that make a program good and worthwhile and worth buying. Also note that Accordance and Logos (using the Libronix Digital Library System) have licensed their systems to other publishers. Sometimes better combinations of contents can be obtained by looking at packages from Zondervan (Bible Suites for Accordance) or iLumina (packages for both Accordance and Logos) or Nelson Ministry Services (eBible Editions for Logos). Also note that if you are not eligible for academic or group discounts, you can often find packages for less cost through other retailers. So, here is the spreadsheet available in original XLS or as a PDF. I find the bundling and pricing of Accordance to be confusing. It's probably best to call and let their sales reps help you put together the package you need with the best discounts. BibleWorks7 way of having a single base package with addons, that really are best purchased as addons, is the simplest approach. After looking at the contents of the various Logos libraries, from my perspective, one should either get the Original Languages library (despite some odd omissions) or go all the way for the Gold library. It becomes very clear that Accordance and Logos are intended to help users create and manage libraries of biblical, theological, and devotional resources. BibleWorks is much more focused on resources for biblical/textual work, especially of the original languages. Logos appears to be the most aggressive in terms of acquiring new resources, but Accordance offers some important texts unavailable elsewhere. BibleWorks7 is remarkable for the number of Bibles in English and other modern languages included in its base package. Nice comparison, thanks. FWIW, the Logos implementation of NASB95 includes Strongs numbers.